Dogs—are they man’s best friend, or a cause for alarm? Most dogs are loyal friends and beloved members of their families. Sometimes, we forget that our dogs are animals, genetically very close to foxes and wolves. As lovable as most dogs are, any dog is capable of biting, although most well trained and properly socialized dogs are less likely to. It is always the dog owner’s responsibility to provide obedience training, teach good manners, and accustom the dog to people of all ages, sizes, races, and genders. It is also important to supervise the pet and restrain it appropriately, especially around children, mail carriers, and trades people. 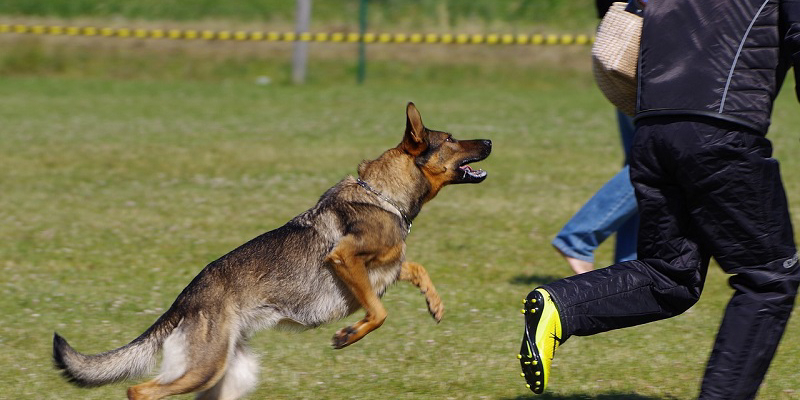 With a national dog population of around 65 million, it is all but inevitable that some bites will occur, usually when the owner has been lax in training, supervising, and restraining the dog. On the average, about five million people are bitten seriously enough by dogs in the U.S. to send them to the emergency room. Between 15 and 20 people, on the average, die from their injuries, half of them children. Pit bulls and Rottweilers are responsible for a majority of dog bite fatalities. Dog bite claims make up over a third of all homeowner’s insurance liability claims, the Insurance Information Institute (III) reports. A single large homeowners’ insurance provider paid out in excess of $136 million dollars in one recent year for nearly 4,500 valid dog bite claims. Serious bites, especially on the face, often require plastic and reconstructive surgery, and are high dollar value claims. When a dog bites someone, it is the dog’s owner who is held to account for the injury under Alabama law in most cases; but the recovery is limited to the victims monetary expenses unless you can show that the owner had reason to know the dog had the propensity to bite, i.e. that it had bitten or shown vicious tendencies previously, or if the dog was not on a leash, or if the owner was otherwise in violation of animal control laws. In some cases, a landlord can be held liable when a tenant’s dog bites someone. Well-trained and well-socialized dogs generally aren’t inclined to bite unless provoked. Dogs should be taught to obey some basic ground rules. But even a well trained, well socialized, and usually gentle canine may fee provoked to defend itself against pulled hair, ears, and tail. Young children don’t understand that these behaviors are painful and annoying to dogs. It’s not the dog’s fault and it’s not the very young child’s fault. It is up to the owner and/or the parent to separate or closely supervise any young child/dog interactions; but if a bite occurs, it is the owner who will be held to account. If you, your spouse, or your child was bitten by a dog, you should seek medical care immediately; then contact your local animal control agency and file a report. An animal control officer will be assigned to investigate and to check the dog’s vaccination record. If the dog’s rabies vaccination isn’t up to date, the dog will be quarantined for 10 days to make sure it hasn’t contracted rabies. In Huntsville, Alabama, once you’ve been treated for your dog bite and filed your bite report, call the law offices of Wettermark & Keith, LLC, to arrange a no-cost case review. We will determine if your injury is serious enough to warrant a lawsuit to claim damages from the dog’s owner (or their insurance company), and we will review your legal options. We have seen over and over again how frightening a dog attacks can be. The harm an animal attack causes usually goes way beyond physical damage; it can cause crippling phobias, anxiety, and post-traumatic stress disorder. The psychological trauma of a dog bite may be as bad or worse than the bodily trauma. You deserve and may need compensation for all of your damages, including medical expenses, lost wages, physical and psychological damage, economic and non-economic, and loss of your quality of life. Alabama’s dog bite laws can be confusing. Our attorneys have the experience, dedication, and track record of successful recoveries to provide you with the quality legal representation your case requires. In Alabama the law places restrictions on the amount of time you have to file your case. If you miss a filing deadline, you lose your right to recover money, so pick up the phone and call us today! Should i talk to the insurance adjuster after a car accident? Copyright 2019 Law Blog | All Rights Reserved. The website only holds general information and is not legally bound to be answerable in any terms of the information it provides. It cannot be considered as a substitute for legal advice or laws.